This list with the most fun, effective and enjoyable exercises can help you burn 300 calories in 30 minutes or less. You can lose a pound each week while having fun! In today’s hectic and fast-paced lives, it has become very difficult to find time to do any kind of exercise or physical activity. However, with the changing lifestyles and the risk of being affected by chronic diseases that can be triggered by lack of exercise, people need to focus on exercising. Especially, for people living in cities, where everyone’s in a hurry, it has become very important to do physical activities to stay active, fit, and healthy. If you can squeeze out even 30 minutes a day from your hectic schedule, it might prove very helpful as you could burn 300 calories every day. 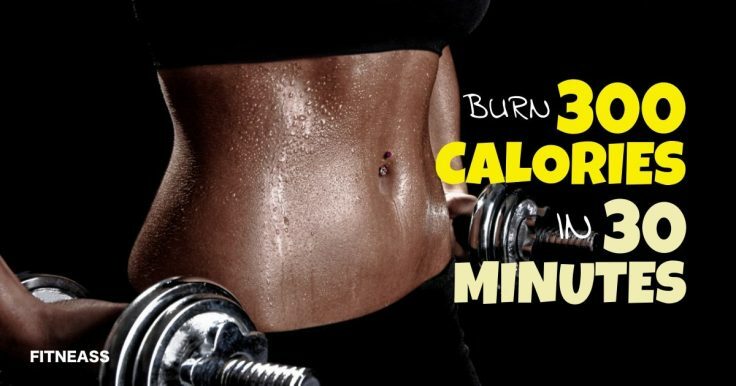 You might think that, how is it possible to burn 300 calories in less than 30 minutes? It may sound not feasible, but there are ways that can help you do it in 30 minutes or less. As the name suggests HIIT, or high-intensity interval training, helps you lose the calories quickly and efficiently in a short time. Basically, HIIT includes intense physical exercises alternating with short intervals or sweat breaks. You can start with high-energy bust exercises, like working out on the stair stepper equipment, or the stairs if working out at home. Do it for 60 seconds straight. Then you can grab two equal weight dumbbells — which you can get from any store with strength equipments and accessories in your area — and start working out with them. You can do 20 reps of push-up rows without taking any break. Then again, do a full minute of running on stairs. Grab the dumbbells again and do 20 squats while holding up the dumbbells. Once you complete the cycle, take a sweat break of around 2 minutes and then repeat the cycle again for 30 minutes. This will not only burn 300 calories in 30 minutes (it will burn way more than that), but it will help you get rid of one pound of body fat each week; all healthy and risk free. If you have more time you can try this HIIT workout to burn 1000 calories in an hour. Isn’t that crazy?! 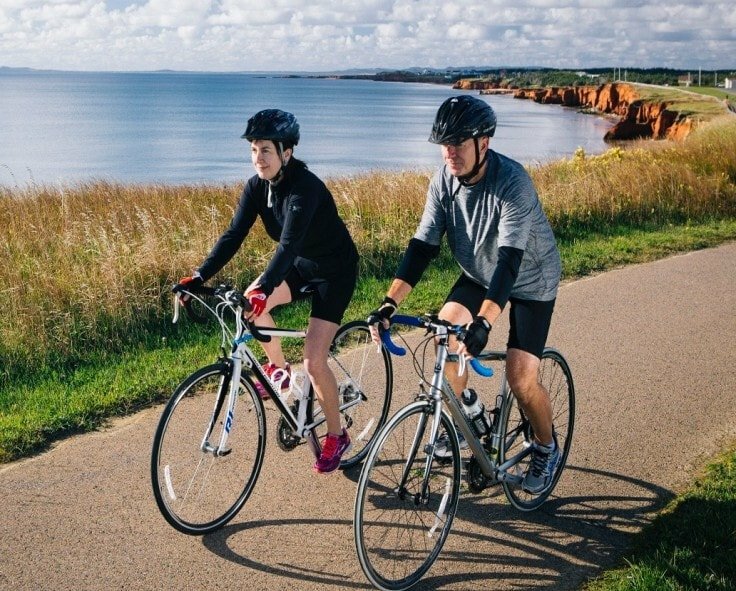 Cycling is known to be an efficient way to burn the calories easily. If you’re looking to shed some pounds in a hurry, then you might look at the possibility of signing up for a 30 minutes cycling class. And if you can’t find such classes at your local gym, just hop on an exercise bike and sprint on it for 30 minutes. To make sure you’re doing it right, you can track the stats and increase the intensity if you don’t reach the required figures. Not a gym guy? Get your bike and go for a 30-minute ride around your neighberhood. The fresh air will do even more good to your body. You might not be aware of the fact that swimming is one of the best exercises that targets all parts of your body. Well, it is! And the benefits of swimming are so numerous. The different strokes present in swimming have different difficulty levels and can burn 300 calories in 30 minutes or even more quickly. Spending 30 minutes swimming in a pool can be a fun way to shed the extra pounds. All you need to do is suit up, jump in the pool, hit the laps, and go on for 30 minutes. You can try freestyle swimming, butterfly, and even the breaststroke in loops to make sure you are doing it efficiently. Running can help you burn 300 calories in 30 minutes, and sometimes even more, depending on your pace. You don’t need special equipments, just get comfy clothes and your sneakers and you’re ready to go. Go run in the morning, in the evening, or whenever you feel like doing it. It’s also a great exercise to relieve stress and depression. When it comes to fat burning, running is the most basic, but really efficient way to attack fat. You’ve seen boxers jumping rope, right? That’s because this exercise is one of the quickest ways to torch fat. So whenever you want to shed a few pounds quickly, do a few 10-minute jumping rope sessions. You’ll burn around 100 calories every 10 minutes of jumping rope. A big advantage of this exercise is that it can be done anywhere, anytime. You can jump rope in the park, in your room, at the gym, literally anywhere. In the end, it doesn’t matter what kind of exercise you’re doing. As long as you add 30 minutes of physical activity per day into your hectic live, you’re on the right path. So whether you need to burn 300 calories in 30 minutes, or to lose 10 pounds in 30 days, these short workouts are a great start.